THE WEEKND CONCERT - QLD TICKETS -- SWAP ONLY ! WE HAVE MOVED STORES ! https://au.carousell.com/warnerco. 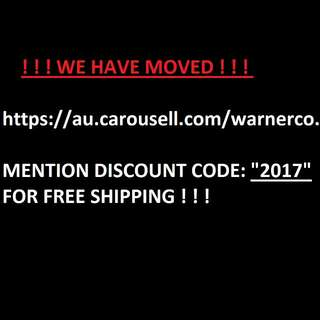 MENTION DISCOUNT CODE: "2017" FOR FREE SHIPPING ! ! !